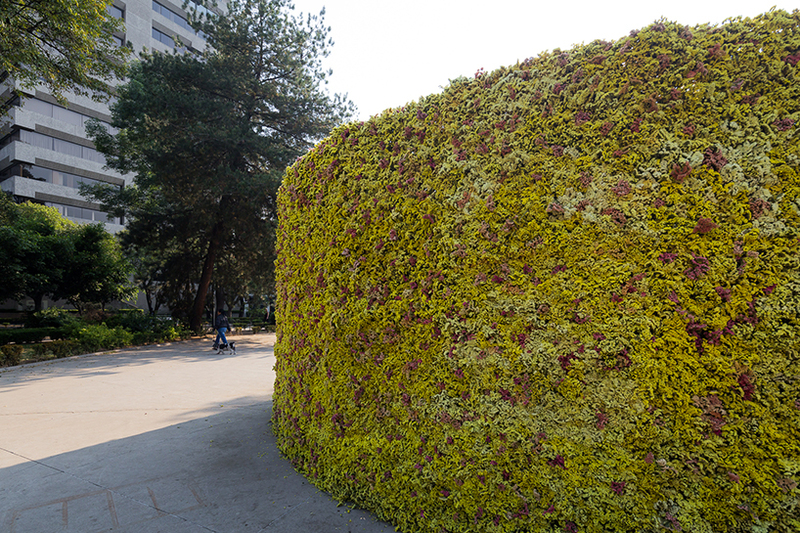 in honor of spring, FYJA polanco en flores once again delighted flower festival visitors in mexico city. 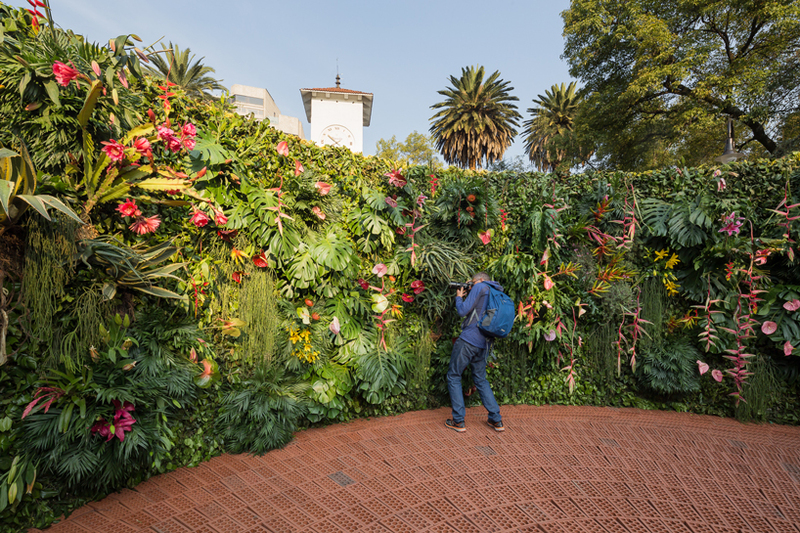 bees, butterflies and family-coexistence were celebrated this year from april 4 – april 7. one installation in particular, NÚCLEO, drew festival goers and pollinators into its radiating hallways of flora and spat them out into to a tiny brick oasis, enclosed by 360 degrees of tropical species, colors, patterns and aromas. 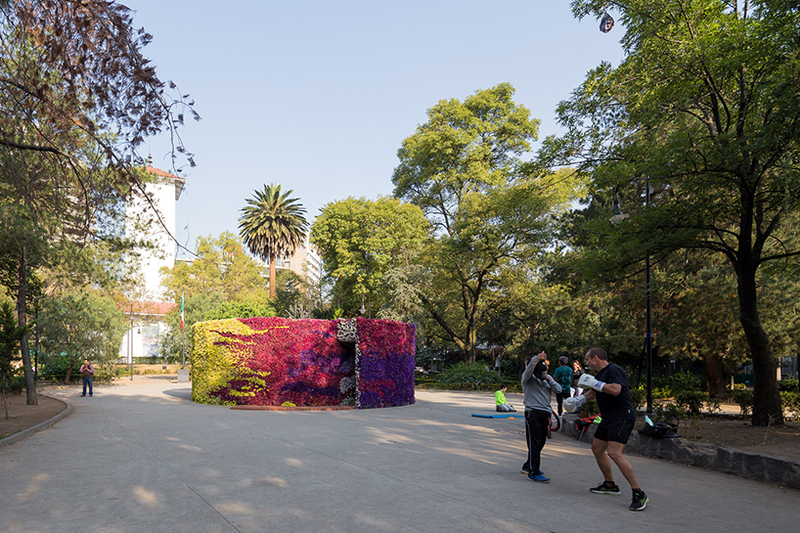 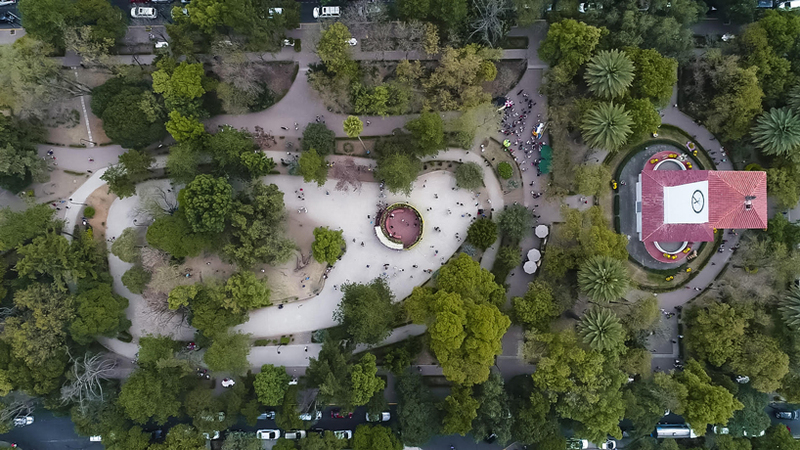 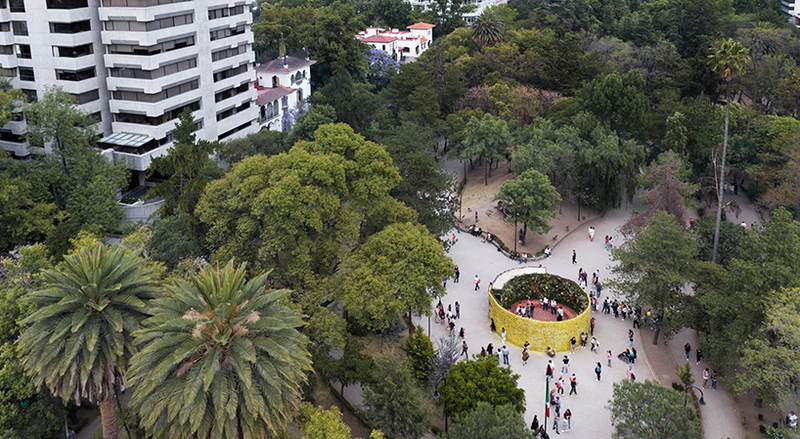 the ephemeral floral pavilion, NÚCLEO, was designed by ana nuño and luis young in collaboration with flores cosmos (alberto arango and ramiro guerrero), located in mexico city’s parque lincoln, as part of the 2019 FYJA polanco en flores festival. 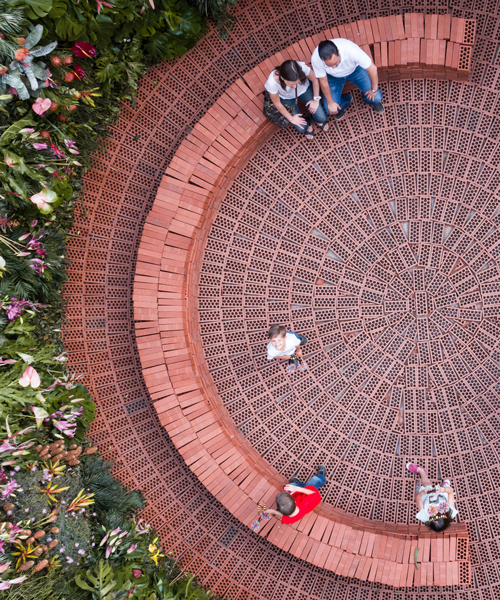 NÚCLEO presents an invented ecosystem, alive with diverse plants, shapes, textures, colors and aromas, all jumbled together with the radiating patterns of bricks and smiles and buzzing of bees. 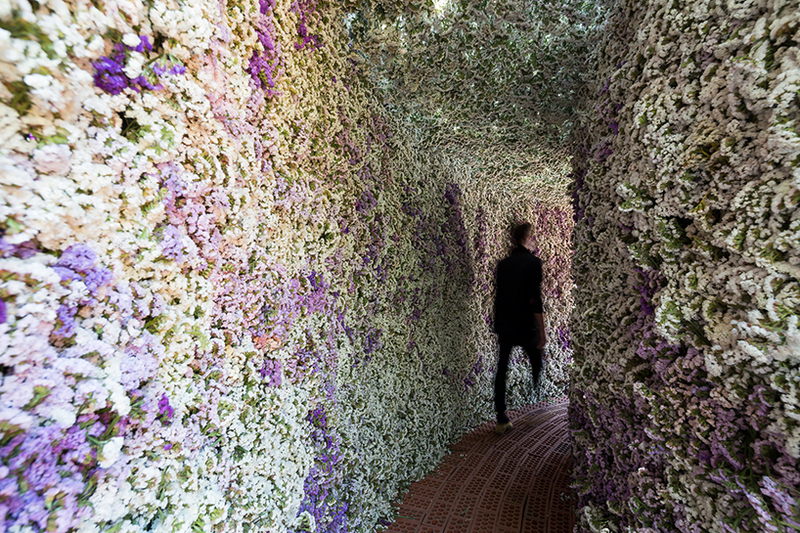 the outside of the pavilion is lined with the same species — statice flowers — in a swirling dance of different colors. 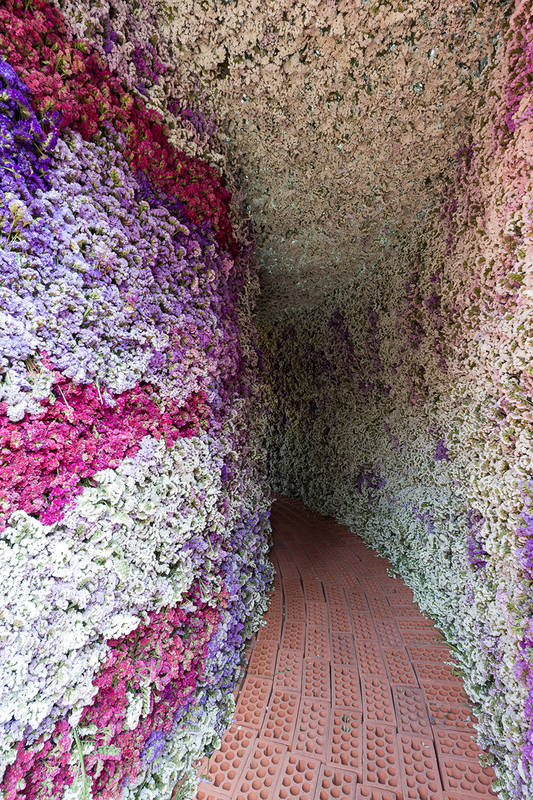 a subtle opening is easily missed if you’re not looking for it and inside this opening, a narrow hallway leads you around into another world. 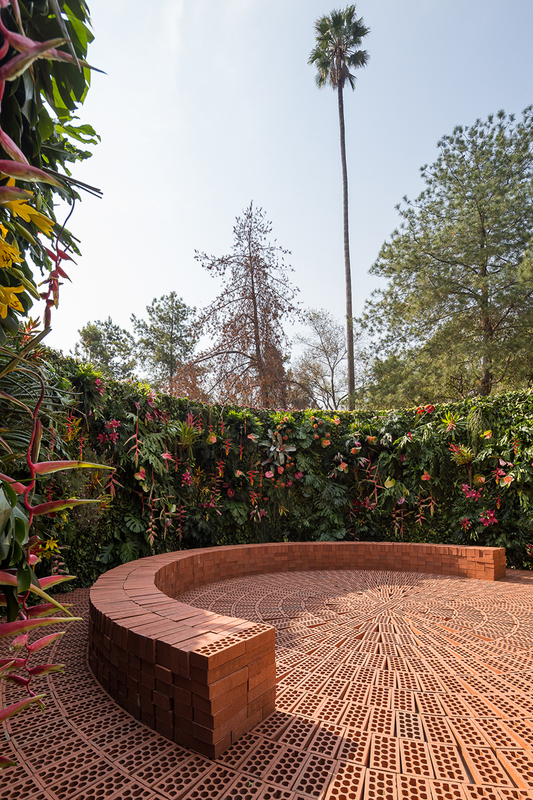 on the inside, radians of bricks flare outward geometrically and seamlessly and stacks of loose bricks form a perfect place to admire the diverse enclosure of plants. 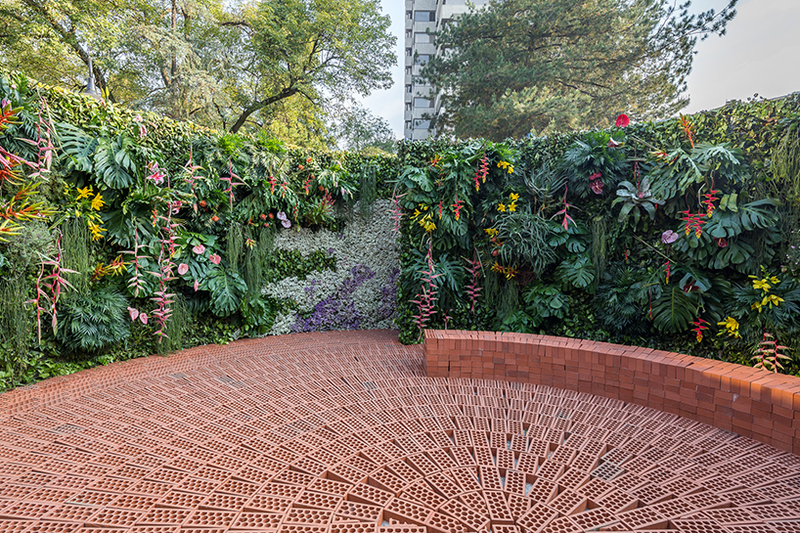 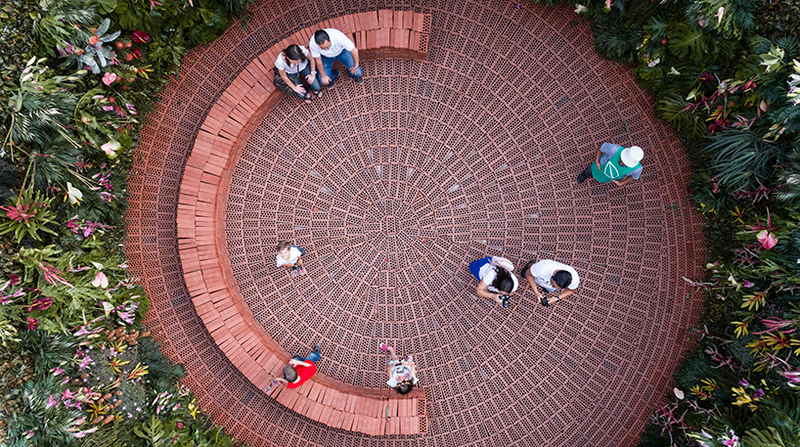 sitting on this bench, visitors might have had a perfect vantage point for watching pollinators fly about, or for basking in the spring warmth, or getting lost in the hypnotizing bricks, or just enjoying the little oasis as a place to sit, a break from the noise and excitement of the festival.